In this file photo taken Oct. 7, 2010, central Illinois farmer Bob Hogan climbs back into his combine while harvesting soybeans in Pawnee, Ill. Since the U.S. economy began a weak recovery in June 2009, most economists and government policymakers have maintained that inflation is well-contained. John Rohlfs, president of Connecticut Plastics, isn't so sure. Business at his Wallingford, Conn.-based company is booming. The company recently hired new workers and bought new equipment to keep up with growing orders for custom-made plastic parts used in everything from oil rigs to medical equipment. But while his orders are rising, so is the cost of raw materials. Increased demand and higher oil prices have driven plastics prices higher across the board. For the most part, Rolffs has been holding the line on passing along those higher costs to his customers. After an extended period of tame inflation, relentless increases in commodity costs are beginning to filter through the inflation pipeline, and they could be headed to a store near you. On Thursday, the Labor Department said its Consumer Price Index rose 0.4 percent in January. Most of the gains were due to higher food and energy price, but the so-called “core” index excluding those items rose by 0.2 percent. That was the largest gain since October 2009. 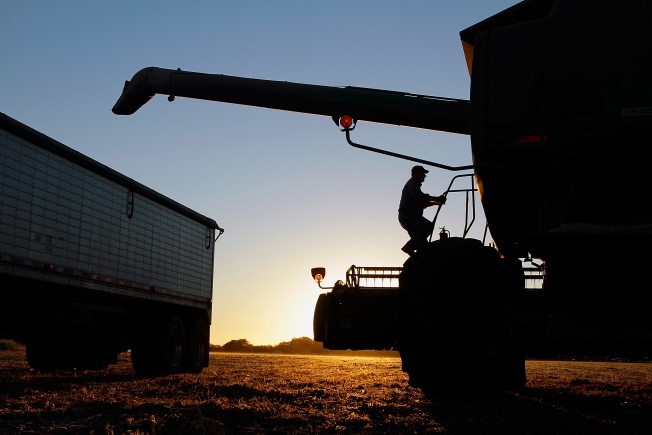 The report followed data released Wednesday that showed, following months of rising prices for oil, cotton, corn, wheat and other commodities, that wholesale prices last month rose at the fastest pace in more than two years. "U.S. inflation isn't home-made; it's being driven by rising world commodity prices, in turn driven by rapid growth in emerging markets,” said Nigel Gault, chief U.S. economist at IHS Global Insight. “But we're now seeing that some U.S. producers feel that their markets are strong enough that they can pass on some of these costs to the final purchaser." Since the end of the worst recession in at least a quarter-century, businesses have used a variety of tactics to avoid raising product prices, even as higher material costs have eaten into profit margins. As commodity costs continue to rise, something has to give. Teflon is DuPont'd brand name for the fluoropolymer polytetrafluoroethylene (PTFE). A spokeswoman for DuPont said the company has had to raise its PTFE prices because of rising costs for a number of raw materials, including fluorspar, a mineral in strong demand for a variety of industrial applications. As the global economy surges ahead, production of such commodities hasn’t kept pace with demand. With supplies tight, materials producers are getting top dollar. Consider the plight of California-based Kelly-Moore, which makes and sells paint through a network of some 160 retail outlets in 13 mostly Western states. Higher oil prices have driven up the price of the acrylic base used to make paint, along with the mineral titanium dioxide, the key ingredient in pigment. With supplies tight and only four major titanium oxide producers worldwide, paint makers aren’t a very good bargaining position, according to Todd Wirdzek, Kelly-Moore’s vice president of product development. The profit squeeze brought by higher commodity prices has been tempered somewhat by tame labor costs, which have barely budged since the recession ended. The average employee cost per hour, according to the Labor Department, has risen by less than 1 percent since the recession began in December 2007. Labor costs are generally expected to remain flat while unemployment remains high; as long as there is a surplus of workers for available jobs, workers will have a tough time getting raises. That’s a big reason that many economists and policymakers at the Federal Reserve see relatively little risk of higher inflation taking hold. “It's too early to panic about inflation based on one month's figures,” said Gault. “The question is whether we are seeing a limited pass-through of commodity price hikes or the beginnings of an inflationary spiral. Wages will be the thing to watch — there won't be an inflationary spiral unless wage inflation picks up." The Fed’s relatively benign inflation outlook, until recently, appeared to have been confirmed by the so-called “core” price index that excludes volatile food and energy prices, which have been soaring. Central bankers typically watch the core reading more closely on the theory that volatile food and energy prices don’t best represent long-term inflation trends. As companies begin passing along higher costs, the risk is that commodity inflation becomes embedded in all prices, boosting the core inflation rate. "The Fed's contention has been that, although inflation has been seen overseas, it's not yet impacted the U.S.," said Michael Woolfolk, senior currency strategist at BNY Mellon in New York. "More to the point, the Fed is not going to be concerned until it spills over into the core reading," he said. "What we see from (this week's data) is that it has indeed spilled into the core and could force the Fed to rethink its outlook for the remainder of the year." Persistent core inflation has another spillover effect on the expectations of companies and consumers that further price rises are inevitable. The Fed’s current policy relies heavily on the belief that inflation expectations are low. But with no sign of a let-up in raw material prices, inflation expectations may be changing.